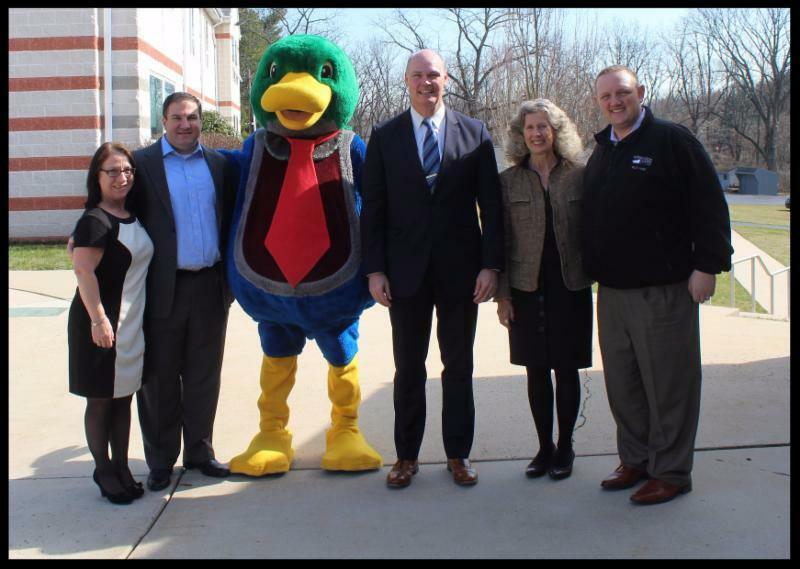 State Representative, Michael Corr, Lewis the Duck and Homewood Suites Team help celebrate literacy! Pathway participates in “Read Across America” with a week-long celebration of Literacy! From February 27th through March 3rd guests were welcomed into Pathway classrooms to read and share a few personal stories with our students. Business leaders, board members, elected officials, police officers, sports figures, company mascots and even a mini horse, named “Vinnie” volunteered a part of their day to participate in the fun of reading and learning. We are grateful to these volunteers who support our students by donating their time, their stories, their energy and their smiles. It was a VERY special week indeed! Ms. Babb is one of eight Career Job Coaches at Pathway. The School partners with local businesses to help students develop confidence and interpersonal skills through on-the-job experiences. Ms. Babb supervises students ages 16 to 21 in the work place, both on campus at the Hot Spot Café and off campus at Homewood Suites and Hilton Garden Inn. 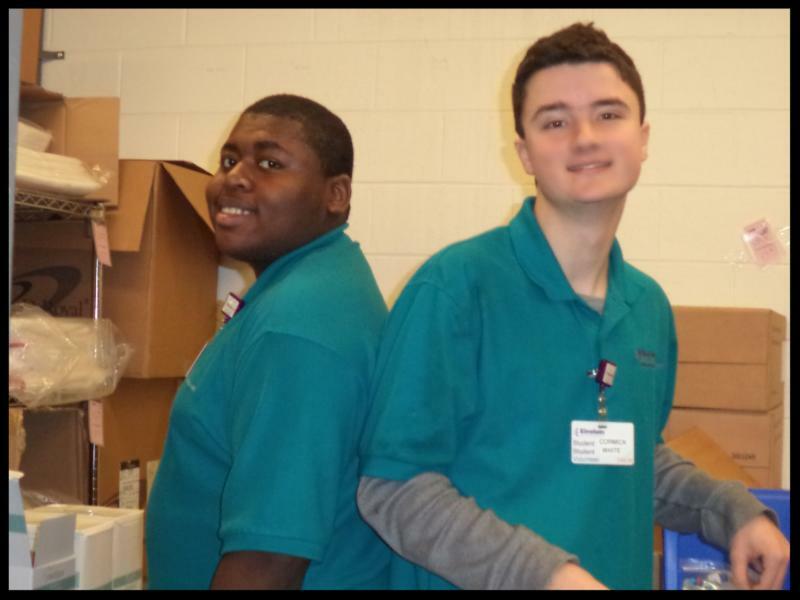 The students are assigned to the off campus work site two to four hours per week, performing tasks such as laundry, clearing dishes and stacking trays, and light housekeeping. Not only do the students learn the specific duties related to the job, but also gain experience in communicating with co-workers and supervisors, following instructions, time management and emotional regulation. 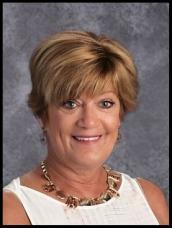 Ms. Babb has been described as extremely generous and caring toward both students and colleagues, and is often the first to volunteer for a special project. She has been instrumental in developing a wonderful partnership at Homewood Suites and Hilton Garden Inn. Her witty personality allows work to also be fun, giving her students even more reason to enjoy being in her company and privileged to work beside her as a supervisor and mentor. 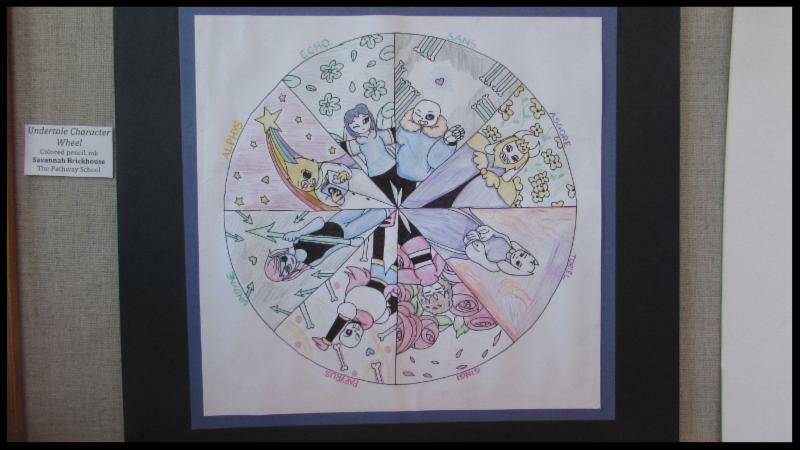 In addition to her skills in the area of drama, she is also a talented artist. 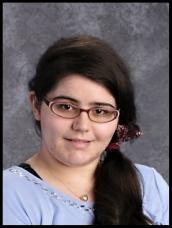 Last year she entered a piece of art into the Kimberton Fair Art Show and more recently her art work was accepted into the Montgomery County High School Art Show at MCCC! This is a juried regional art show for high school students and Savannah’s work is a first for Pathway. The exhibit opened at the college on March 8th with a reception and awards ceremony on March 22nd. This school year Savannah has been busy with an internship in merchandising at IKEA, using her artistic eye to arrange displays in the curtains, linens and rugs departments. Not only has Savannah been gaining work experience at IKEA, but has been a dually enrolled student for the past two years, at Montgomery County Community College through Pathway’s Bridge to College Program. She has studied drawing and is currently taking a Graphics Design Class. By graduation she will have earned 8 college credits. Congratulations, Savannah on all of your accomplishments throughout the years. Many more successes are yet to come! 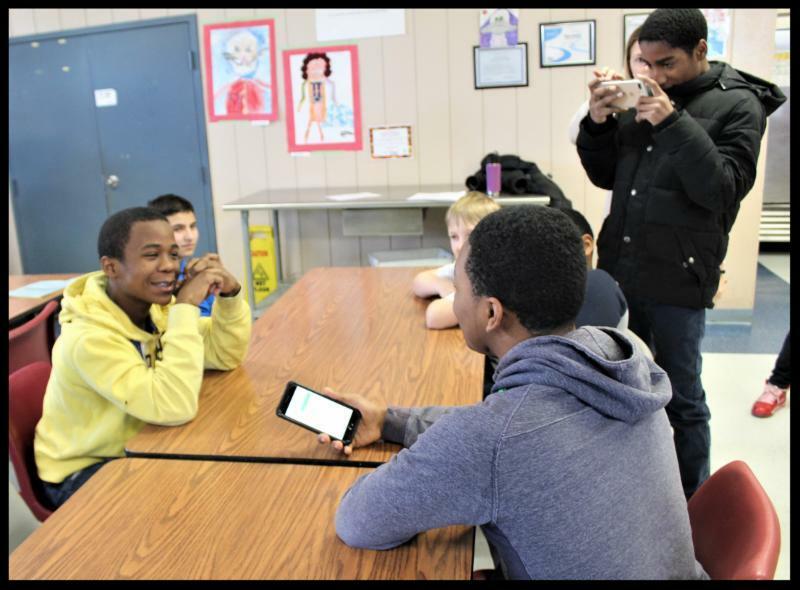 Students in Ms. Hart’s class agreed to support Pathway’s anti-bullying program by working together to create a demonstration video that could be shared with the school. After watching other videos related to bullying and deciphering the messages each portrayed, the students created their own script with minimal teacher assistance. Everyone’s ideas were heard and each student selected the part they wanted to play. Cooperation and team work was evident as the script was evolving and rehearsals were underway. Filming took place over several days and in different locations across campus. Not only did the students write the script and act in the scenes, but did the filming and editing as well. The video will be shared with other classrooms, with intent to inspire and support Pathway’s anti-bullying message. We are so proud of these students for taking the initiative to work together on such an important and meaningful project. Einstein Volunteer Coordinator, Stephanie Sylvester reached out to Pathway’s Career Education Coordinator, Kay Drevanko to ask if an additional student worker could be scheduled to work in the hospital’s Central Sterile Processing Department. This is further evidence that Pathway student workers are valued for the job that they do and the hospital’s willingness to offer an experience that requires added safety precautions. Currently four students work at the hospital two mornings a week in the food services and laundry/supplies departments. This new position will require the student to wear scrubs supplied by the hospital and work in the inventory and supply area of the Sterile Processing Department. Pathway’s career education partnership at Einstein started in 2015 with two student workers and has now grown to five. This is so exciting and we are very grateful to Ms. Sylvester and the hospital for welcoming our students and offering these training opportunities. 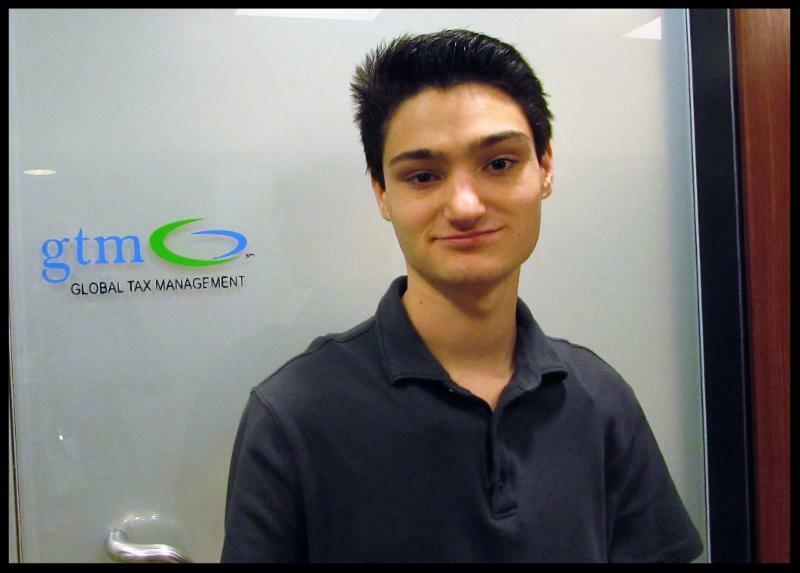 Last month information was reported about Global Tax Management partnering with Pathway to develop a new opportunity for our students to gain authentic work experience as part of their career education program. Shawn Luther started with the company one day a week on February 14th, performing data entry work. An employee training Shawn in his new role gained additional knowledge about his background and interests and shared this information with representatives from the company’s IT Department. During his fourth week, the head of the IT department met with Shawn to learn more about his experience. Shawn provided information about his work at Team Children and the coding classes he is taking at Pathway. Following this meeting, the senior web developer wanted to see Shawn’s skill level and they spent the rest of his shift together.